What are the items in your kitchen you can’t live without? The oven? Fridge? Even the microwave? What about the toaster? Admittedly it isn’t an essential, but you might be surprised to find yourself at a bit of loss without this handy piece of equipment. Perfect for a super-quick breakfast in the morning or toasting crumpets and bagels, the humble toaster is a really handy bit of equipment. But how did it all start? 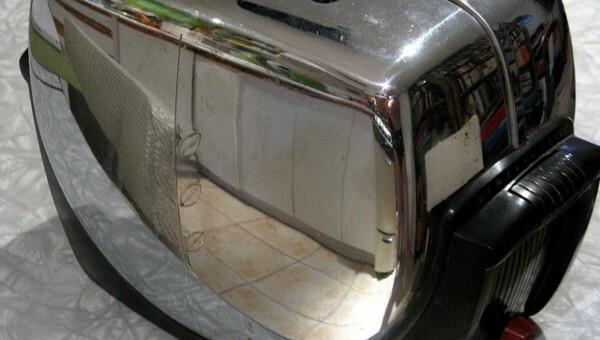 Here’s a lowdown of the origins of the toaster. At the beginning of the 19th century, simple tools were developed for cooking pieces of bread over an open fire. It wasn’t until the early 1900s that the first patents for electric toasters were filed. Several companies and inventors were coming up with ideas around this time, but there as one that stood out from the crowd. In 1905, the first electric toaster from US firm General Electric, called the D-12, went on sale. This was considered to be the first commercially successful electric toaster. Much simpler than the machines we have now, it consisted of an exposed wire rack that heated up to cook the bread. The only problem was people had to turn their bread round by hand to brown it evenly – tricky to do without getting burnt. As a solution to the problem, the first covered pop-up toaster was created in 1919. It was able to cook both sides of the bread at the same time and eject it when done – similar to the kind of gadgets we use today. This made it far easier for people to cook their bread in a much safer way. The first machines used a mechanical clockwork timer to record how long the toast had been cooking for, before automatically popping it up when browned. Users could adjust this to suit their tastes. At first there were problems because the time it took for the toaster to heat up meant the bread wasn’t as cooked as it should be. This led to the introduction of thermal sensors within toasters made during the 1930s to solve the issue. Now, we have all kinds of fancy machines, capable of toasting more than just two slices of bread at the same time if necessary. Some have wider slots specially designed to cook larger items like bagels, while others can even toast designs on the surface of the bread. They come in all kinds of fancy colours and designs, meaning anyone can find a toaster that suits the style of their kitchen. Toasters have become something most of us take for granted these days and it’s hard to imagine not having one to cook a quick breakfast or snack. You could even say they’re one of the best things since sliced bread. This post was contributed by Steve Williams, a freelance writer specialising in appliances such as microwave ovens and American fridge freezers in the UK.